”MilkyWay,” from COPAN Diagnostics, Inc. is the first fully automated instrument for preparing pour plate total viable bacterial counts on liquid samples. 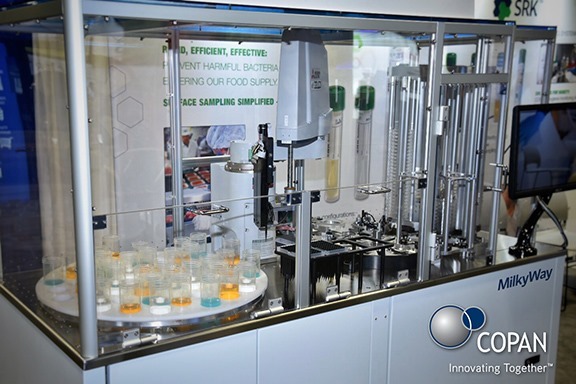 The new instrument fully automates the pour plate method for performing total viable bacterial counts on liquid samples. 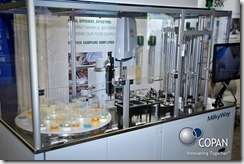 The Copan ”MilkyWay” on display at the International Association for Food Protection Annual Conference (IAFP) is specifically adapted for processing dairy samples. The application on display at IAFP mixes molten agar with the sample. After it cools down, the mixture is set and then overlaid with another layer of agar.